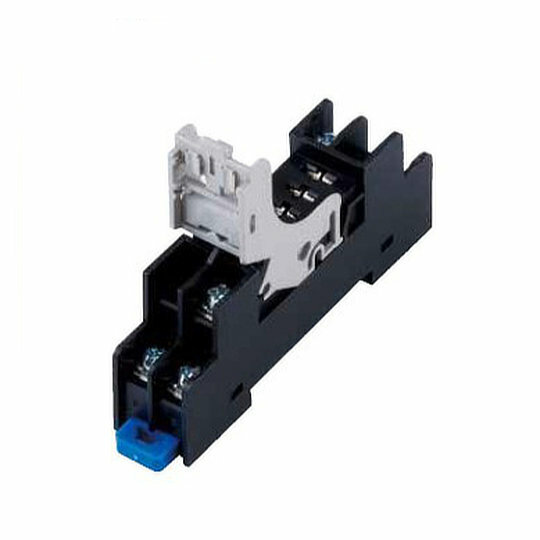 The SJ DIN rail series of relay sockets from IDEC are for use with the SJ and RF2 series of relays. Designed in a slim space saving housing at only 12.2mm wide with standard screw or finger-safe screw style terminals. The sockets have a removable marking plate that is integrated into the release leaver for ease of identification.